We’ve been trying out some different ways to play with, learn, and review sight words and having a lot of fun. 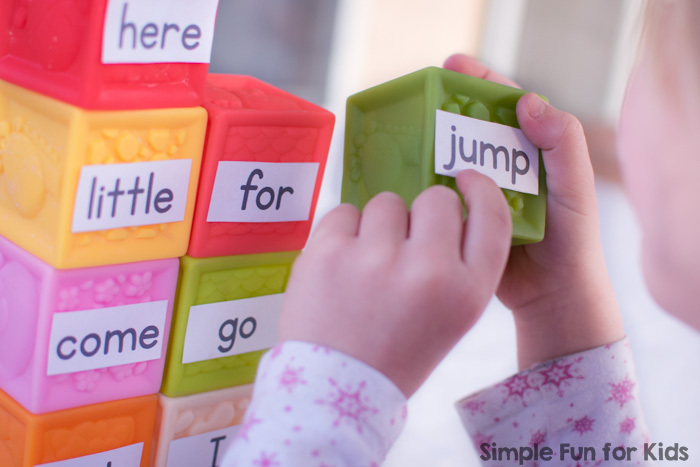 Yesterday, we combined them with practicing alphabet order and played with Sight Word ABCs with Blocks! 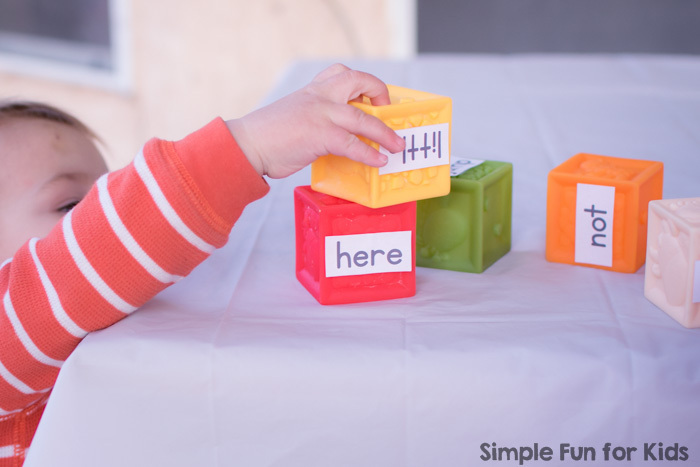 I picked out 10 pre-primer sight words for this activity, cut out the corresponding mini flash cards, and stuck them on 10 blocks with loops of sticky tape. Since this was the first time we actually did a specific ABC order activity, I made sure that all the words started with different letters. 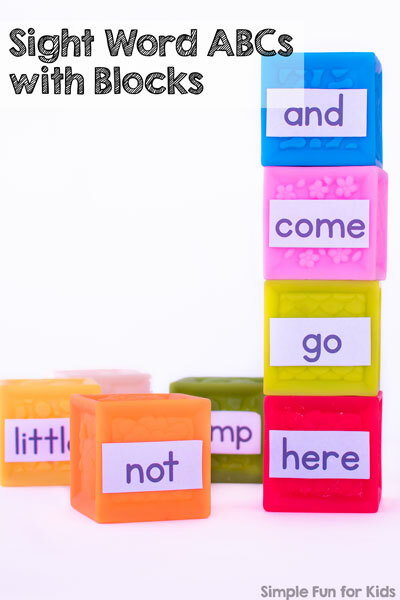 To get started, I asked E to go through all the blocks and read the words. 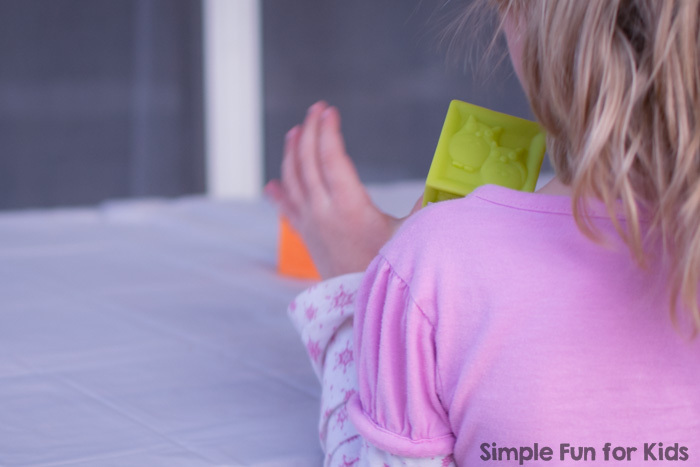 Without prompting, she stacked up the blocks once she’d read the corresponding word. It took her a moment to figure out “jump”, but she got it without help. 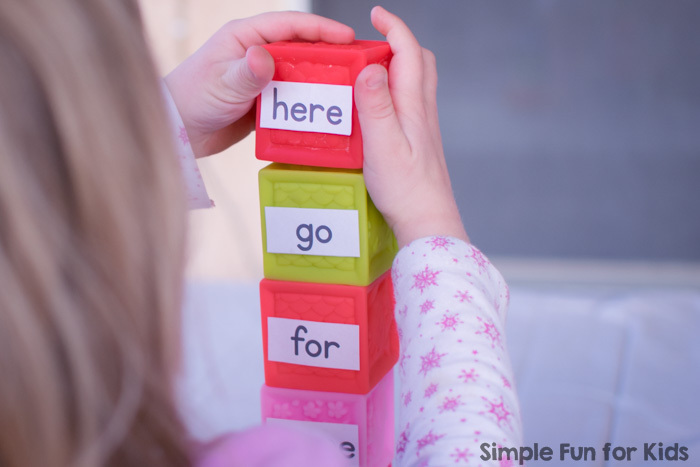 After she’d stacked up all the blocks, I asked her to put them in ABC order and build a tower. She was a little confused when there were words starting with a, b, and c, but nothing with d. I explained that she needed to skip those letters and just find the next one in alphabetical order. On E’s first try, the tower toppled over after she put “jump” on top, so she told me she wanted to start over and make two towers side by side. E thought that was hysterical and insisted on building another tower before huffing and puffing to get that one to fall over, too. 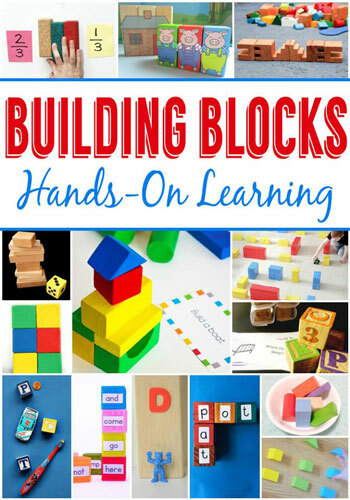 Want More Hands-On Learning Ideas using Building Blocks? 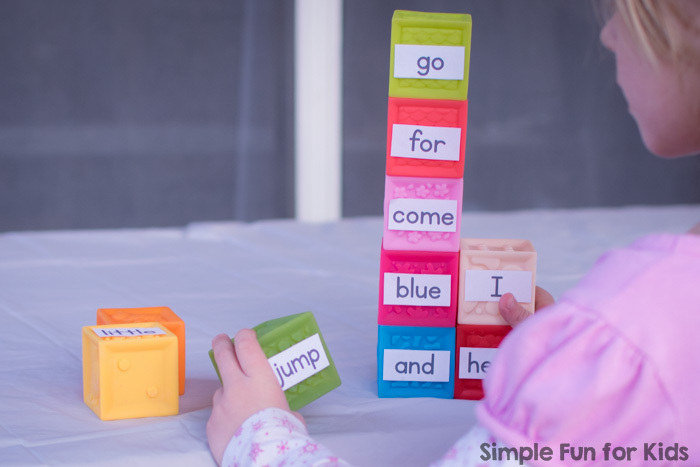 Sight words can be so tricky to learn but this activity makes them fun.